For the vegan cream cheese simply mix together the yoghurt, salt and lime juice. Set a sieve over a bowl and line with either a coffee filter or muslin. Tip the yoghurt mixture in and strain overnight, or for at least 6 hours. To marinate the courgettes, mix the hot water with the tamari, oregano and cassia in a large shallow bowl. Add the courgette slices and swoosh them around in the mixture. Quickly cover the bowl with clingfilm to keep the steam in. Leave for 20 minutes. After this time the courgettes should be slightly softened. Lightly grease a small baking dish (around 20 cm x 10 cm). 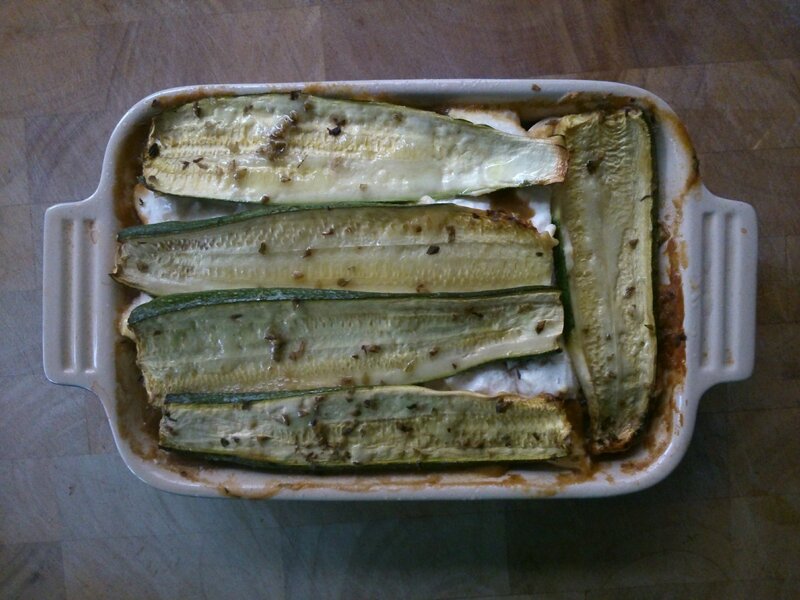 Lay 1/2 of the courgette slices in the bottom. Top with the beans, and then teaspoonfuls of the cream cheese. Lastly layer the rest of the courgette slices on the top and drizzle with the oil. Bake for 35 minutes until hot all the way through.